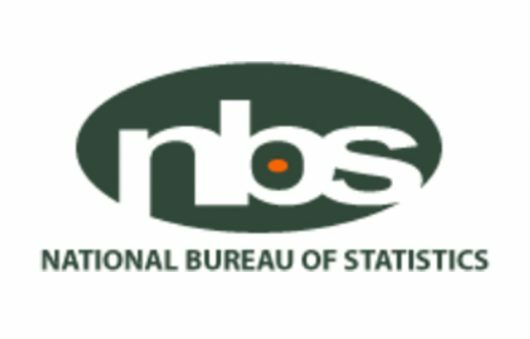 The Nigeria Bureau of Statistics (NBS) in a release on February 20, 2018 stated that 2,489 people lost their lives in the 4th quarters of 2017 in road mishap across Nigeria. One hundred and eight of the victims are children. Similarly, there were 3,404 victims in 826 road accidents in which 456 died according to the Federal Road safety Corps (FRSC) report released on April 12 2018 and the agency also revealed that 215 people were killed on Lagos – Ogun road corridor alone between January and June 2018. Scores of people were burnt to death and 20 vehicles burnt when a fuel tanker burst into flame at the Otedola Bridge in Lagos on June 27, 2018. Any road user knows the dangers inherent in travelling in Nigeria roads. And the evidence is there along the roads in the number of vehicle wreckage. It is Sad. This is not just about number but about life cut in their prime, children orphaned, lives wrecked, pain and manpower lost. Nigerians are very religious people and they hand over their problems to God, sit back and wait for miracles. They attribute any problem or unpleasant events to the devil hence at the commencement of a journey or opening for the days business devil must be ‘fired, bound and cast’ to ensure smooth business. However, one need to observe carefully what happens in many of our bus terminals or motor parks to understand the true nature of our religiosity. In most motor parks hawkers, shops and adjourning street are known to be outlets for sale and consumption of alcohol and psychotropic substances. When the vehicle is set to depart for the journey, some of the drivers emerge from the joints direct into the driver’s seat. A mobile preacher or pastor hanging around steps up to pray for smooth journey and to render devil and all ‘principalities and powers’ likely to cause misfortunes and accident powerless. The passengers choruses amen to every prayer point, some yelling and shaking in convulsing seizures. To them the age worn cliché “heaven help those who help themselves” makes no sense at all. Whenever there is a serious road mishap, the man in the street is quick to blame bad road and the government but in reality human error is responsible for 70% of the carnage in our roads. Many drivers in Nigeria are like undertakers arranging and taking commuters to their final resting place where the commuters will rest in peace. The FRSC report indicates that human error is to blame for most ghastly accidents. It lists speed violation, tyre burst, dangerous driving, and wrongful overtaking as responsible for most accidents and bad road which is commonly and erroneously held responsible came in distant 9th on the list. Most accidents involve commercial vehicles contrary to the widely held believe that private vehicles and drivers are more prone to accident. Accidents occur more in good roads and this can be attributed to some factors. When the underage or teenage drivers who can hardly read or write, does not know traffic signs and rules; when many especially commercial vehicle drivers are so fetish and strongly believe that charms and amulets by a native witch doctor makes drivers invincible and come out unhurt in the event of an accident; when lots of drivers feel that they drive better when under the influence of psychotropic substances; when the transporters motivation for profit subsumes safety considerations; we then have a recipe for the mayhem we often see on our roads. I was in one of the private transport companies’ bus terminal when a detachment of FRSC men came for a sensitisation campaign. It was a short powerful presentation by the team’s leader. However, I think more effort should be put on monitoring and enforcement because some of these corporately dressed drivers turn a different breed once they hit the highways. The team also told passengers that they have the right and power to challenge the driver where the passengers have safety concerns. The highly organised transport companies present fewer problems than the loosely organised transporters and vehicle owners which controls the larger chunk of the transport business. In all sincerity, which passenger in Mile 2, Ojuelegba, Jabi, Nyanya, or Upper Iweka walks to the driver or his men in their sleepy smoke beaten eyes where some are enjoying their morning ritual of monkey tail, ogogoro, shepe or awopa to challenge them about safety issues in their vehicles? For all the major agencies saddled with the responsibility of ensuring safety, it is a daunting task and they have been doing their best but a change of tactic and strategy is required. In addition to other existing traffic law in this regard, it is important to give commuters the legal right, power and backing to take up any transporter and their union when they present vehicle that is likely to endanger lives. This will save a lot of life and limbs because so empowered, road users will take their destiny in their hands. This makes the job of enforcement easier for the agencies. More enlightenment and education should be taken to the stakeholders. Some actions suggest that some union in the sector are over – protective of their airing members by shielding, aiding and abetting them in breach of traffic rules and other criminality. We have witnessed some drivers taking the laws into their hands by blocking high ways and causing untold hardship to road users because of some of their members who are at the wrong side of the law. Union members have unleashed violence on towns just because of the association’s internal matters. Some of them act with impunity on the road. Articulated lorry and truck drivers are the worst offenders. And for sanity on our roads, the law must always stand supreme. Enforcement of relevant traffic rules and safety standard need to be stepped up because one need not be an auto engineer or vehicle safety expert to see that many vehicles on our road falls short of the required standard. But for now, road users will continue praying and going to thanksgiving whenever they reach their destinations safely.